MissionThe West Virginia State Honey Festival was founded with the purpose to educate the community on the importance of honey and the honey bee. From great food and entertainment, to our many crafters as well as our continued education about honey and the honey bee, the West Virginia State Honey Festival offers a little something for everyone. 10 am - 5 pm Sunday. 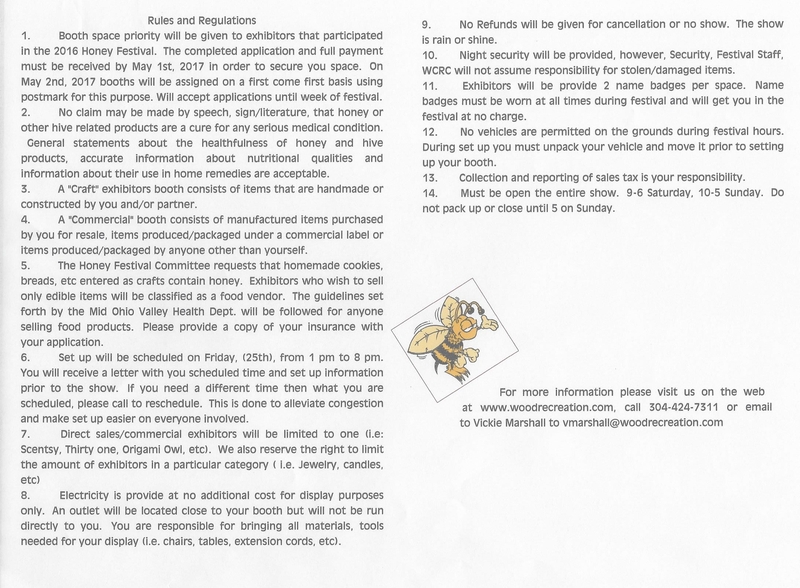 Wood County Recreation Commission took ownership of the WV State Honey Festival as a fundraiser in March of 2014. We look forward to continuing this annual tradition, while keeping the mission of the original founders in the forefront. The West Virginia State Honey Festival was founded in 1981 with a mission to educate the community on the importance of honey and the honey bee. 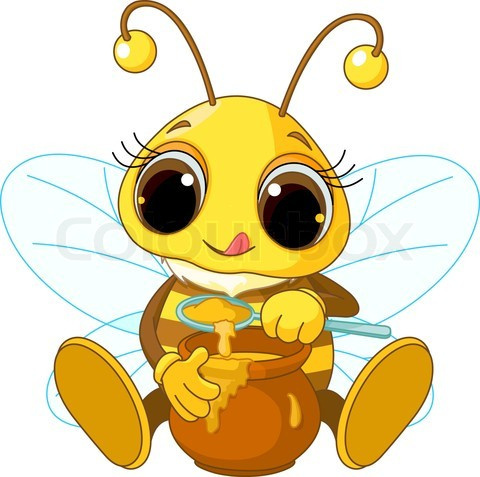 Along with this important education about honey and the honey bee, we have great food and entertainment, crafters and vendors offering a little something for everyone. The WV State Honey Festival is traditionally held the 4th weekend in August. The purpose of the WV State Honey Festival is to educate the community on the importance of honey and the honey bee. The West Virginia State Honey Festival was founded with the purpose to educate the community on the importance of honey and the honey bee. From great food and entertainment to our variety of crafters, in addition to our many booths focusing on honey and the honey bee, we offer a little something for everyone. 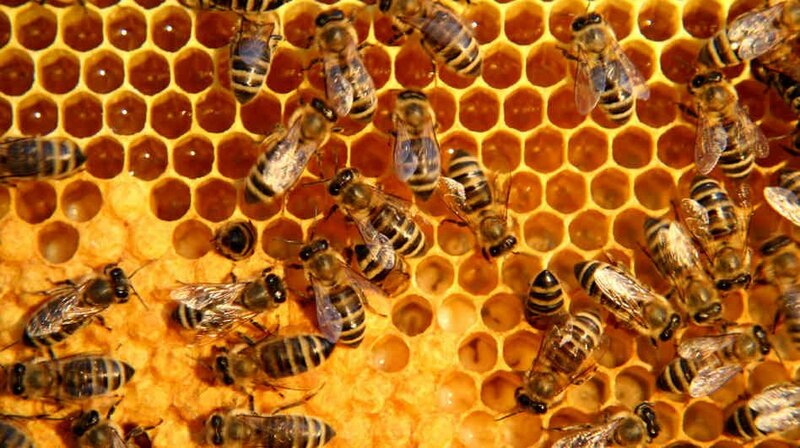 This page includes important information and fun facts about honey and the honey bee. We are always looking for new ideas and topics for this informational page. If you have an idea or would be interested in writing an article, please let us know. 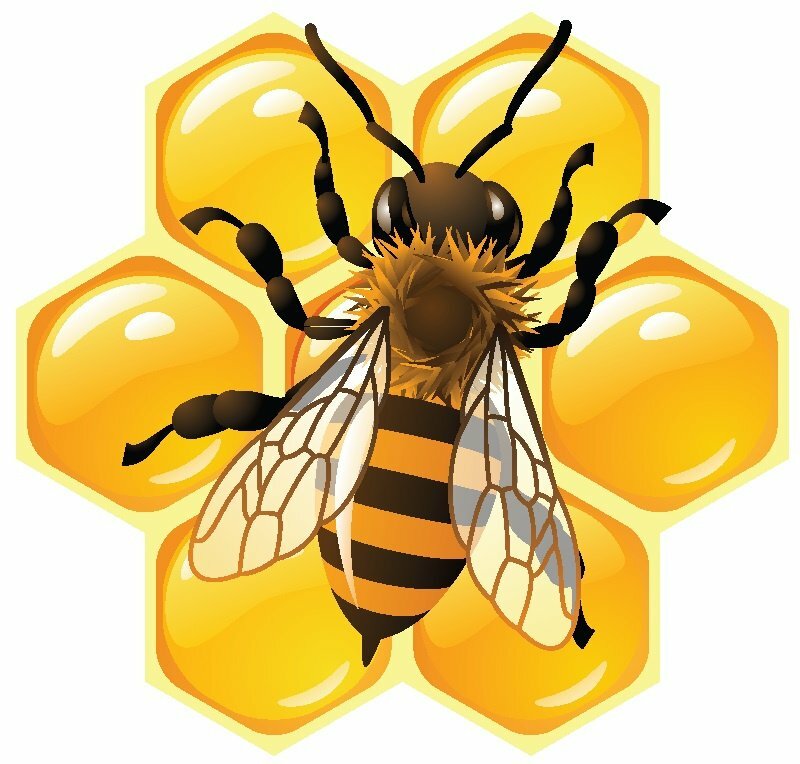 We are always looking for people interested in joining our mission, to make the Honey Festival an annual success and to further educate the community on the importance of honey and the honey bee. We invite anyone interested in the issues and topics we focus our efforts on to join. Members MUST be able to dedicate enough time to participate and make a difference in festival planning. 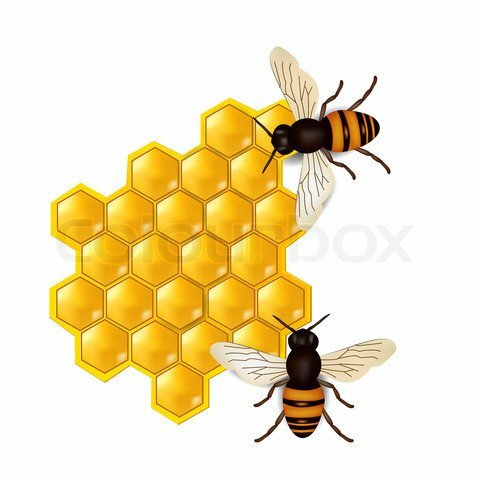 Any beekeepers, agriculture enthusiasts, or apiary suppliers are especially welcome to join our efforts. There are several benefits to becoming a member of our committee. Our members have a good time when we get together and have great comradery. Of course we also have a common interest, to make the Honey Festival an annual success and to further educate the community on honey and the honey bee. We have no specific dates set in stone, but we do meet several times a year for planning and troubleshooting. You will be notified two weeks prior to meetings, always held during evening hours at our office in Parkersburg City Park. Please find application below for honey producers/crafters/vendors. Please make your selection carefully, after reading the instructions. Incorrect selections may cause delays in processing your application, or even a rejection of your application. This form must be completed and returned before August to ensure your space. All checks should be made payable to:Wood County Recreation CommissionPO Box 1306Parkersburg, WV 26102Thank you! 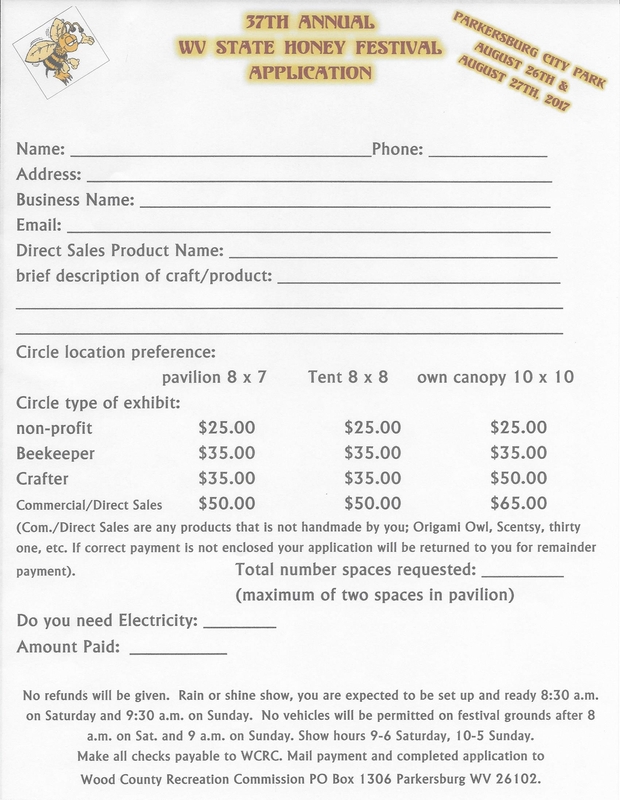 Crafters/Vendors/Exhibitors: you MUST remain set up until closing of show at 5 pm on Sunday. Setup schedule will be Friday 3pm - 8pm. Thank you for visiting our web site. We encourage you to contact us if you would like more information or are interested in becoming a part of our festival.